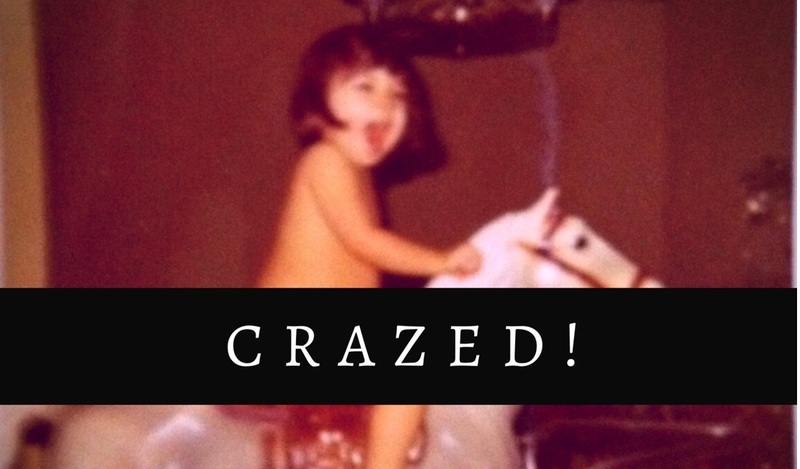 Crazed! : "Justice, Justice, shall you pursue..."
"Justice, Justice, shall you pursue..."
The title of this entry is a paraphrasing of a portion of a book of the Bible, Deuterotomy 16:20, which in "The New American Standard Version 1977" is translated from the Hebrew as, "Justice, and only justice, you shall pursue, that you may live and possess the land which the LORD your God is giving you," in its entirety. Don't worry, I'm not going to start preaching about God or religion here. I just think it's a good jumping off point to get into another special interest of mine that's related to my passions for social justice, and compassion for all people, but also a life long challenge in my life and my profession now, and will come into play in a very public way if and when I become a Foreign Service Officer --Diplomat-- where I will have to be diplomatic, and often not reveal my personal beliefs and opinions on a situation, person, or policy. I honestly wasn't going to write about my interests in other cultures, history, social studies, and politics in this series on special interests because I'm purposely moving away from publicly displaying my politics on social media, but something occurred recently which made me realize that in my current career as a therapist who goes into client's homes, I'm already a diplomat. Each home I enter, each family, is its own culture, its own country, with hierarchies, unspoken rules, hidden languages, and varying agendas. I've had the good fortune to also have been assigned many clients from different nations, including Australia, Brazil, India, and Mexico. In each case, I've learned not just new household protocol, but how to take into consideration the differing cultural backgrounds of each client family and analyze what I can do to respect and honor those things without judging any differences with my own experiences growing up in the United States, punctuated by a few brief stints living overseas. But for me, adapting to foreign ideas from other countries and the accompanying social rules isn't really challenging, but enjoyable. Social protocol and etiquette are special interests of mine because they relate to my passion for compassion and empathy towards others. What's tough for me, is when someone tries to engage me in small talk about politics and other cultures outside of the US, who is also American, but who doesn't share in my view that people from other cultures, or socioeconomic classes are deserving of compassion. The challenge isn't in holding my tongue, and keeping my opinions to myself in situations where I know a discussion of the issues isn't going to go anywhere but into unnecessary conflict, but in tactfully steering the conversation away from the potentially contentious topic and onto a more safe subject while still giving an answer that will do that but neither seem like agreeing not disagreeing with the person, in these cases a parent, who assumes I must share the same political and cultural views they do. I can't get into an argument with them because a conflict would impede the work I am there to do, which is provide therapy and education for their child. Starting a "war" with them is a no win situation. The child, my client suffers, and me speaking out will never get them to change, to become more compassionate and understanding. Their own cognitive dissonance will set in, and my words will only be perceived as an unprovoked attack. I'm running out of time here at the library where I write, so I'll not go further into this topic, or my history of interest in politics and social justice over the years, starting in Jr High with an essay on Yasir Arafat. In high school I had a history of being an angry, political punk rocker. In my adult life I've been mostly very left leaning throughout my 20's and 30's while swinging increasingly towards the more center left in my 40's as I learn that pragmatism must mix with passion in order to get things done in the real world, but also that the world isn't black and white, but very complex with a whole range of shades and tints to every challenge. Somehow over 17 years of entering people's homes to work with their children, I have been preparing to become a diplomat on a large scale by learning diplomacy on a small scale. So as I transition to more public life, increasingly my own views and opinions must become more private. My trips on Facebook and other social media, even my blog entries must increasingly become like conversations with parents who hold very different views from my own. Any belief or opinion I hold that could cause conflict, or impede goals and interests for the good of everyone must be kept offline. This, I hope, is a good thing.